This is my first post on my new blog and rather than cover all aspects of crime fiction that interests me, in my first post I want to focus on one passion of mine. I’m a crime fiction reviewer for the excellent website crimesquad.com. There’s never a shortage of books to read but I like to intersperse my reading with my love of authors from the golden age of crime fiction. This doesn’t just mean reading the so-called ‘armchair’ detectives. There was a lot of good stuff written between 1920 and 1960 much of which is now sadly neglected. If you look on this month’s crimesquad.com website, the classic crime section is dedicated to the writer Arthur Upfield. I chose Upfield because he showed that crime fiction didn’t just belong to the English country houses nor to the mean streets of LA. Instead the action is rooted in the landscape of the Australian outback with its traditions and idiosyncracies. I can still pick up the odd Upfield cheaply from second-hand bookshops although a recent dealer told me that he is now becoming collectable. In fact I was outbid on a couple of books this week on e-bay. I’ve just fi nished reading my latest find – The Clue of the New Shoe. This edition was published in 1952 and the front cover is everything that I want from a period crime novel – vibrant, lurid and placing me in a period that has long vanished. I have a particular fondness for Pan crime fiction as I grew up reading their Agatha Christie editions. I can’t see a front cover from that series without it taking me right back to my teenage years. And taking of images, it took me a while to decide on my choice of blog header. Crime, such a popular subject in literature, is rarely portrayed in the art world. This a rare exception, a section from The Murder by Paul Cezanne. I like the fact that you can see the perpetrator’s face, not the victim’s. More on this in a future post. Good to find another crime fiction reader. I look forward to your reviews and commentary. Thanks Bernadette for your comments. 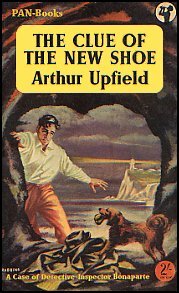 There does seem to be an Arthur Upfield resurgence here in the UK so it is good to hear an Australian’s view on his writing. I would like to read more modern Australian crime fiction. 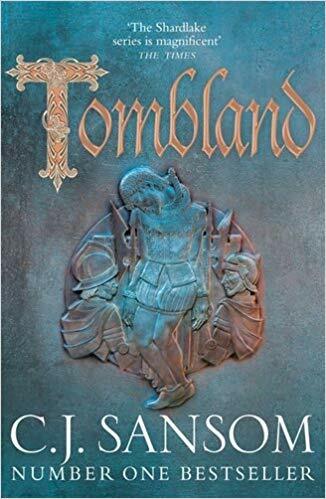 I have read Peter Temple and in fact his new book is out in the UK next month. Are there any Aussie women crime writers you would recommend? Thanks Maxine for the welcome and for the friendfeed suggestion. I am new to the blogging community and it’s great how many helpful comments I am getting. I have some Dashiell Hammett unread on my bookshelves. I will investigate him sometime.